The Tech softball team finished their fall lineup last Friday which included competition against Southern Union, Anderson University, Reinhardt University, Chattanooga, Chipola College and West Georgia, along with some unplanned rescheduling and competition changes. All of the games were played at Tech’s Mewborn Field except the matchup against Chattanooga and an unplanned game against Georgia Military College, offering a home field advantage to the Jackets. At the beginning of the semester, the team added three transfers, all of whom won conference championships in the past two years at their respective universities. Junior Morgan Bruce hails from Ole Miss, where she was a first-team SEC All-Freshman selection and had an 11-5 record over two seasons with the Rebels as a talented right-handed pitcher. Tricia Awald came from nearby Kennesaw State after wrapping up her freshman season with the Owls as Atlantic Sun Conference Freshman of the Year. Amber Johns joins the Jackets for her junior year after playing for her first two seasons at North Georgia. Johns achieved National Fastpitch Coaches Association (NFC) first-team All-American accolades and was among the top 10 finalists for NFCA Player of the Year. It is unusual for a team to sign transfer players of any note, let alone players who were stars at their previous programs. For the Jackets to bring Bruce, Awald and Johns into the fold is nothing short of a coup; all three have the potential to be instant contributors to the program’s success. The depth contributed by these three transfers, along with a team that has historically been triumphant until a few recent down seasons, bodes well for the Jackets going into the 2018-2019 season that officially picks up with conference competition in the spring. Both the Reinhardt and Chipola games were rescheduled for Sunday games from their original Friday scheduling due to inclement weather. Furthermore, the Chipola game was eventually cancelled due to the destruction caused by Hurricane Michael. The Jackets ended up playing Georgia Military College in Panthersville, Ga. on a Sunday instead. The first game of the season against Southern Union finished with the Jackets on top, 17-2. The team followed up the next week with another win over Reinhardt, 19-1, providing a nice boost going into fall break; winning two games by a combined 33 runs is nothing if not good for morale. The rest of the fall season went smoothly, although staying out of the weather that occurred in Atlanta and the surrounding southeast was no easy feat. The lower level of competition that the Jackets had the opportunity to compete against allowed for great stats from a surface-level viewpoint, but the players and coaches know that the games are not directly translatable to the competition that they will face in the spring. As Head Coach Aileen Morales no doubt noted in her first year as the program’s head coach, conference teams are another beast altogether. Nevertheless, there is a confidence boost that comes with beating opponents by wide margins, even when those opponents are not necessary nationally contending programs. Players that led the squad during the fall season included outfielder Cameron Stanford, who posted the highest batting average at .292, on-base percentage at 4.19 and slugging percentage at .549. Another key contributor with Katie Krzus, who led the team both in power and scoring at 9 homers and 33 RBIs. Krzus is joined by Kaylee Ellebracht as one of two seniors on the roster, while the majority of the team is made up of underclassmen. 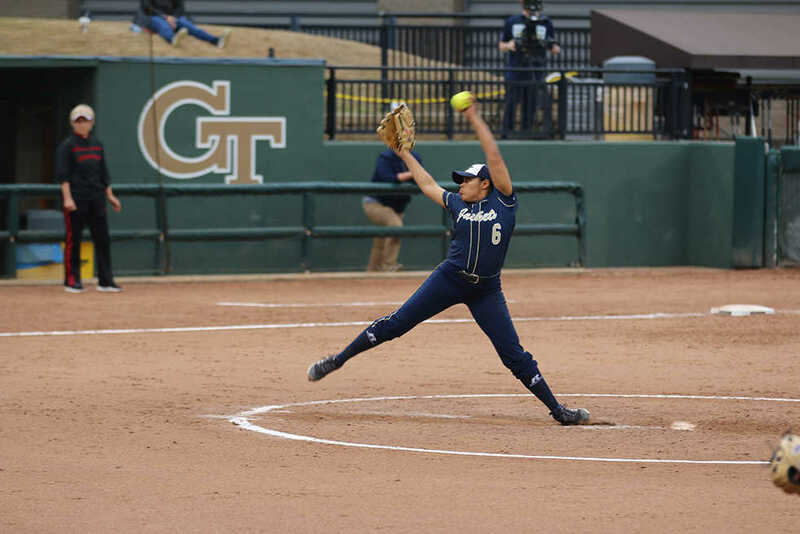 With three transfers, five freshmen and a total of 16 underclassmen, Morales will have to fight to balance the batting time among those who may not have gotten as much time last year and those who are completely new to the collegiate scene. The fall games gave the coaches a chance to switch people around within a low pressure environment, but there is still a significant amount to figure out before the official season starts. The schedule has not been released, it is still unclear who the toughest opponents will be, and players who were on fire in the fall may find themselves in cold slumps in the spring, and vice versa. But a team can do nothing better in the fall than beat the teams on its schedule. Tech has done exactly that.